In the July 3 – 17 issue of Rolling Stone magazine, former vice president Al Gore states: “it is now clear that we will ultimately prevail” in the fight against global warming induced climate change. 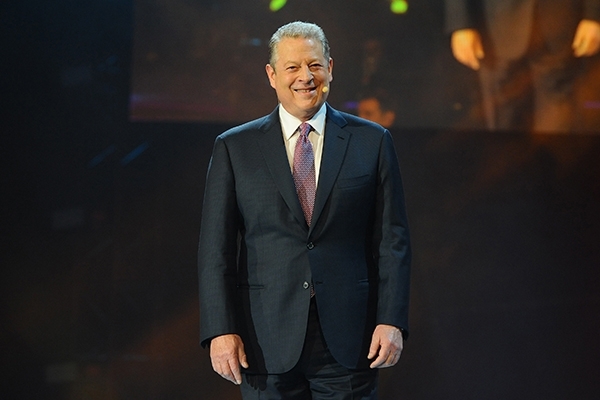 “The only question is how quickly we can accelerate and complete the transition to a low-carbon civilization”, adds Gore in leading off his article entitled “The Turning Point: New Hope for the Climate“. In addition to understating the tremendous roll that oil burning transportation plays in sending greenhouse gases to our atmosphere (35% of global fossil fuel CO2 comes from burning oil, which is used to make various transportation fuels, including jet fuel, a major contributor), Gore’s article also provides no basis whatsoever for the conclusion that humankind will “ultimately prevail”. Based on the progress made so far (minimal), and the compounding effects of global warming positive feedbacks (accelerating “natural” global warming, such as the thawing of the permafrost region, which is resulting in the release of massive amounts of methane gas, a more powerful greenhouse gas than CO2), there is no evidence that civilization will be spared from the ravages of human caused global warming. For example, Gore makes the assertion we can all be driving electric cars powered by solar energy. In a pig’s eye! The average age of cars and light trucks on the road in the U.S. has reached a record high of 11.4 years and virtually all are powered by burning diesel fuel or gasoline. There were 247 million cars and light trucks registered in the U.S. as of January 2013, and the world has passed the billion mark already. What Gore should have said is that we all need to drive and fly LESS, particularly long distance travel and commutes, and walk, bike and use transit instead, in addition to converting to solar and wind energy in power plants, homes and business, and that our government needs to step it up by providing positive financial incentives to make that happen before it’s TOO LATE!